This might be the most immediately useful plug I've gotten my hands on from UAD. It is so easy to dial in useful and musical sound with this little blue wonder, which has become my go-to. Have tried using it just about everywhere and it almost always makes things sound better, quickly and with little fuss. But the real secret weapon here is the Air Band. Wow. Just the right kind of air / sparkle / sheen to open things up beautifully without getting honky or harsh. Amazing. It's a steal right now. So glad I picked it up. so clean, so easy to use! Very simple EQ but with a superb sound, the air zone is great, but also in lows and mids it adds a very colorful sound, very musical. I find this EQ very responsive and it makes a big difference on whatever I use it on. I love the Air-band, but I try not to use too much of it, which is hard because it sounds so open and beautiful. The only minus is that the level trim is very fiddly. Very nice....shiny tops and phat lows. This is EQ make all instruments And vocals warm, This Plugin is a most have. I work with this maag this make it my Music Professional. The Air band opens up tracks in a unique way. A welcome addition! This and the 1176 RevA Combo is what separates my studio from others, hands down. The Maag EQ4 is, by far, the best vocal plugin I've ever used. It can be used on many different things, but it's "Air Band" makes vocals naturally cut through the mix without it sounding strange. I couldn't recommend it any more. This plugin is now a rash all over my mixes - 6 Stars ! As a old-time user of the hardware version of this one, I can only say that this IS the Air filter now in a plugin! Just add a sparkle at 10 or 20 (or try it higher but I am 52 years old:-)) and then turn up the gain until you hear it, now back off a fraction and then toggle bypass, and understand that this is the only brightener you need, forever. Use it on all my masterings! I've been comparing the demo to every other UAD eq, and something about it has me picking it over every single other plug-in. It's not a soft eq, but it's also not hard in a bad way, it's got amazing punch and clarity. I can't quite get any other EQ to do what it does, and it has me considering using one of my 3 choices on it, despite it being $70 cheaper than other options like the API. Seriously, am I just crazy? Im sitting here next to the hardware version that I've had for years and this plug gives me the same thing i always go for. Opens the top without harshness. The Sub bands are like no other, and the 160Hz/650hz sweeten the pot. Every engineer should own this, Harrison, Neve & Pultec and you're covered for vibe. In the middle of a mastering project and an email popped up telling me about this plugin. Had to give it a go. Never used an EQ with one control per band that gets instant great sounds like this does. Superb! Great eq but i bought the native version from Plugin Alliance for $89 during a sale. I bought maag EQ4 plugin from plugin alliance some times ago... and then UA did this new emulation, so i tried the demo and compared to my Maag EQ4 from Plugin alliance. And... THEY ARE THE SAME! They have the same presets... the same sound... in protools I created two tracks and copied the same snare sound with the same Maag EQ4 one from UA and one from Plugin alliance.... they did sound the same!!!! To be sure of that i just inverted one track phase and then played the two tracks together, what i did expect was to hear a little difference, hear something.... but no sound, no sound at all, what a perfect phase inversion!!!! The two plugins are identical! 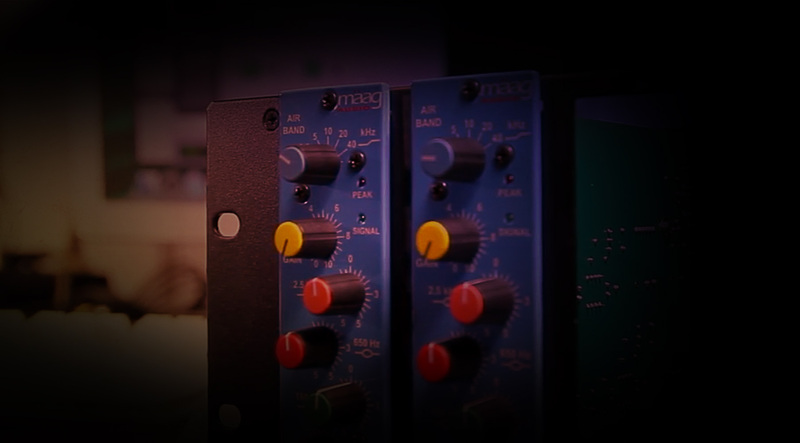 I 've tried Maag demo from uad and also from Plugin Alliance. Not even one difference on 44 and 48 kHz. Better stay with Alliance's soft. Although is cheaper to buy from here now with the discount but is very light ( not cpu hungry ) so why bother my uad dsp with a same quality plugin (? ).